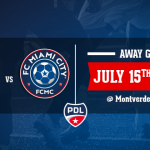 MIAMI, FLA. – FC Miami City today announced the signing of ten additional players, bringing the PDL expansion team’s roster to 13. 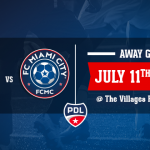 The PDL allows the player to compete in the league while also maintaining the player’s eligibility for College Men’s Soccer. Last season, we had a few notable signing players playing at a college level and directly coming from our Academy. On and off the field, Alexander aka Gato has proven his commitment to the club last season. He is part of the family and will play again Central Defender this year. Volatile and versatile player, Christopher impressed our coaches by his skills and his confidence on the field last year. He is ready for a new challenge with this upcoming season. Last returning player on the defensive line, speedy Daniel Del Rio is part of the family this season again. Rookie this season, Hervé aka Bato played more than 150 games in the French Ligue 2. His experience is already profitable to all of us. Welcome Bato! 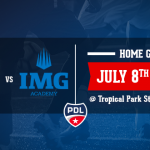 After a few years spent at FC Lorient (Ligue 1 – France), Kevin Coiffic will reinforce our defense this season. Welcome Kevin! With a professional brother playing in the U.K, Patrick has soccer in his veins. He will compete for a spot in Central Defense this season. 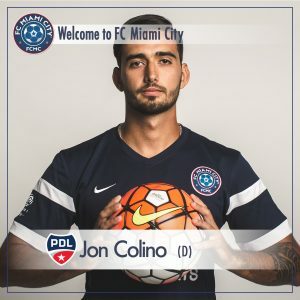 Jon Colino is El vasco-venezolano of the squad. Quick and easy technically, Jon can play as a winger or in the central defense. Very easy technically Abdel Cherigui won his spot on the roster after a good pre-season. Last defender to be announced but not least: Michael Rosario playing for Nova University. Welcome!